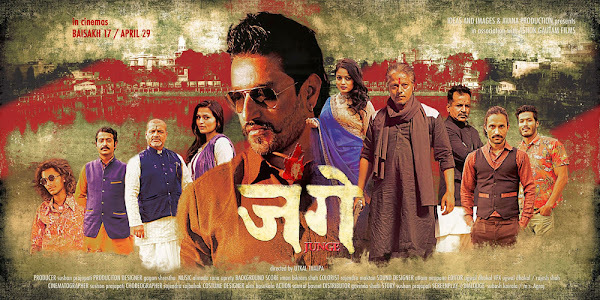 Junge New Nepali Movie is a presentation of Ideas and images. Junge is action movie produced jointly by the director Utkal Thapa with Cinematographer Sushan Prajapati. The screenplay of the movie is written by MS Agraj and Subashd Koirala. The edit is Ujjawal Dhakal, music composer is Almoda Upreti, lyrics by Manas Raj, background score by Iman Bikram Shah, choreography by Rajendra Rajbahak and action by Samrat Basnet. Actress Reecha Sharma is considered the most versatile actress in the movie industry. The actress is featured in hot appearance in Junge movie. The movie features well known actors Suraj Singh Thakuri and Reecha Sharma. Other credible actors in the movie include Anup Baral, Joes Pandey, Najir Hussain, MS Agraj, Sushank Mainali and Sushil Raj Pandey.